One Monthly Goal will be back for 2017 - with some awesome sponsors and new surprises! You can read the specifics about linking up and the social tags on the main event page. I am very excited to announce the amazing and generous sponsors who have lined up to support us each month. Each month, there will be two (2) randomly selected participants who will win prizes from the sponsors. 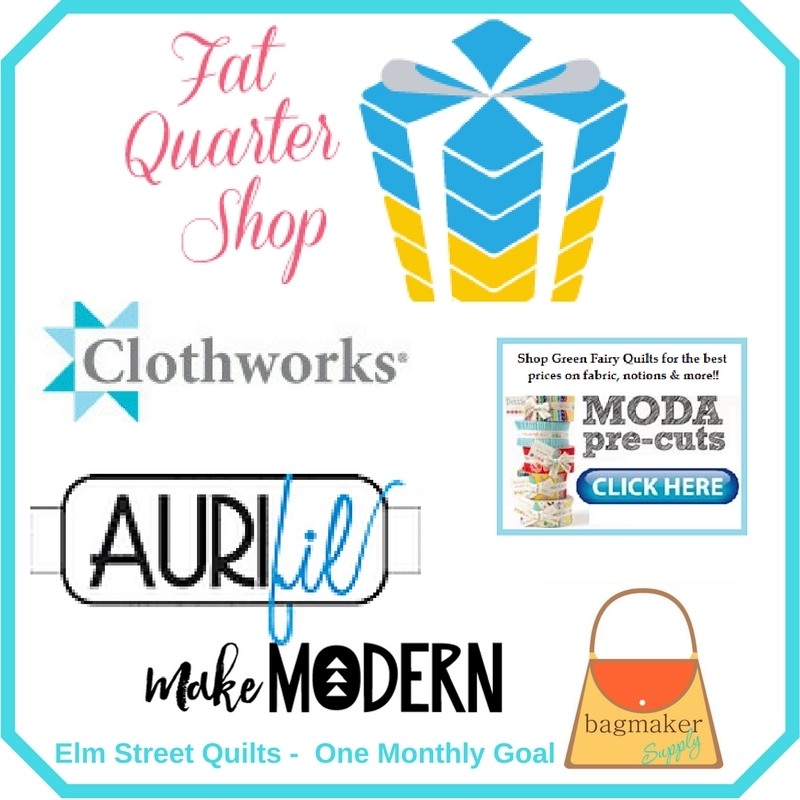 Fat Quarter Shop will sponsor every month with a gift certificate. 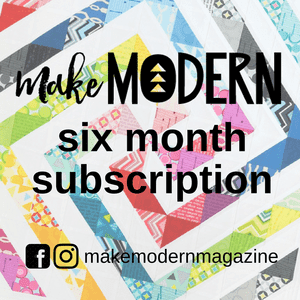 Bag Maker Supply, Green Fairy Quilts, Clothworks and Make Modern Magazine will each sponsor three (3) months. And Aurifil will be one of the sponsors for the Grand Finale. We'll have a grand finale this year! Essentially, the more you link up, the more chances you will earn for the grand finale drawing. No extra goal setting required or goal finishing required. Participate every month, you'll earn 24 chances to win in the grand finale. Set a goal in a month but not finish? No problem - you'll still earn a chance for trying. Thanks to these amazing sponsors for their support! 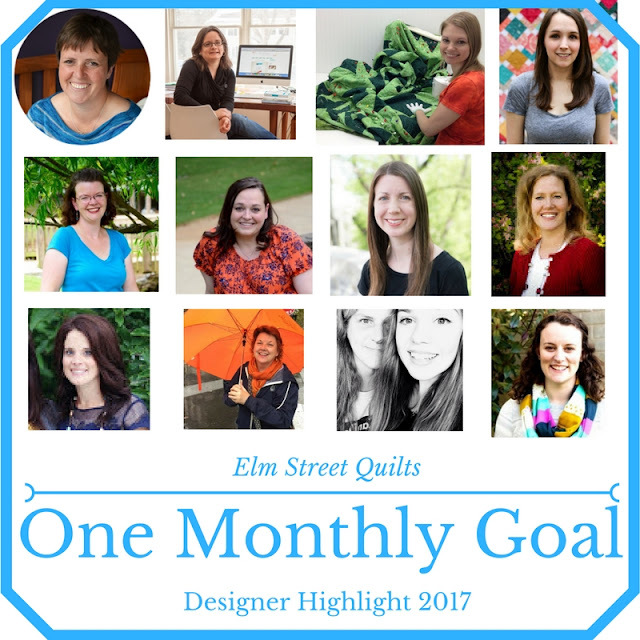 In addition to the chance to win a prize each month from those amazing sponsor, One Monthly Goal will also feature one designer each month. Each of these amazing women were excited to sign up and support each of you in your goal setting. The monthly goal setting post will highlight a designer and we'll learn a bit about them and their work. 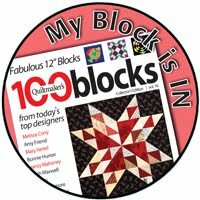 Then, one (1) lucky randomly chosen participant will win a pattern from that designer. If you don't already follow their work on their blogs or Instagram, check out the links below. You'll enjoy! Maybe you should tell a friend and encourage them to join! The support and encouragement that everyone gives each other is wonderful! Sign up to receive email notifications when the linkup is open. Think of it as a helpful reminder! Cool! I hope to participate more this upcoming year :) Thank you for putting this all together! Yay! Just when you think it couldn't get better, it does! Great job you've done with this event in years past as well; you are one organized lady! Happy New Year! (That four excl points, lol). wow!!! You have really outdone yourself!!! I am so excited to join in this year - already have my eye on the OMG to do!! Whoot Whoot! Thank you for hosting. Looking forward to the year ahead. Looking forward to a productive 2017! Love the sponsors & appreciate their support. Looking forward to join in. Hoping this will help complete a few more projects. So exciting! I have loved OMG all year and these just make it even more exciting! Thanks for all that you have done to keep this going! Thank you for all the work you put into making the OMG even more fun. The OMG has been a big motivator for me in 2016, so I'm really looking forward to joining in for 2017. That's awesome! Thanks for hosting OMG for 2017. Looking forward to it. It really helped to keep me on track this past year. Wow. That's amazing. Thanks for all your hard work. I fell off the wagon over the summer. I like the linkup to keep me productive. OMG 2016 was really good for me. I kept focused and as a result I accomplished a lot. I will enthusiastically participate in 2017. Thanks so much for hosting! What exciting new changes! I have been so motivated by OMG---I completed each of my 12 goals in 2016. Yay! Can't wait for 2017. I like the addition of the designer information and links. Awesome! Time for me to dig in some UFO's & git'm'done!! Thank you so much, I love the designer feature addition, so much to look forward to! So glad I found this! Thanks for organising such a wonderful linkup to keep us motivated! 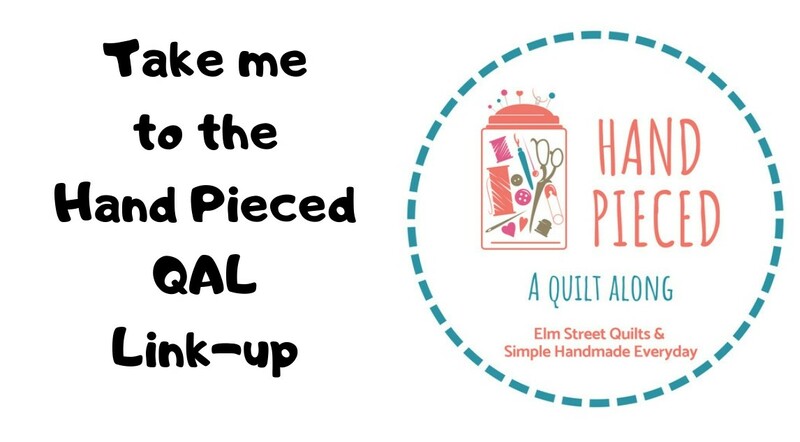 Found your logo over at Laura Conowithch's place, sounds like an awesome idea, I'll be joining up with you every month, maybe I'll get some of my badly neglected quilts done. Have a great day!